Honda has officially started accepting bookings for the new 2019 Honda CBR650R. This 650cc faired sports bike is expected to launch in India in the next couple of months and will replace the ageing CBR650F here. According to Honda, the new bike will be priced below the Rs 8 lakh mark (ex-showroom) and the new bike can be booked from any of Honda's 22 'Wing Word' dealerships across India by paying a token amount of Rs 15,000. The new Honda CBR650R gets a complete makeover and looks like a smaller version of Honda’s flagship litre-class superbike, the CBR1000RR. Features include new twin LED headlamps and a fully-digital instrument console that replaces the dated twin-pod digital instrument cluster seen on the CBR650F. The 649cc, liquid-cooled, inline-four engine has been updated for translates a stronger mid-range and a higher revving motor. It now makes 95PS at 12,000rpm and 64Nm at 8500rpm. You now get a slipper clutch. Electronics include multi-stage traction control. The new bike weighs 6kg less thanks to a lighter frame and smaller fuel tank. Suspension updates include Showa Separate Function upside-down front forks and a preload-adjustable rear monoshock. Its 310mm twin front discs get new radially mounted Nissin four-pot calipers while the rear gets a larger 240mm disc. The CBR650F does not have any direct competitors here and the only one that comes close is the Kawasaki Ninja 650 that is priced at Rs 5.49 lakh (ex-showroom). 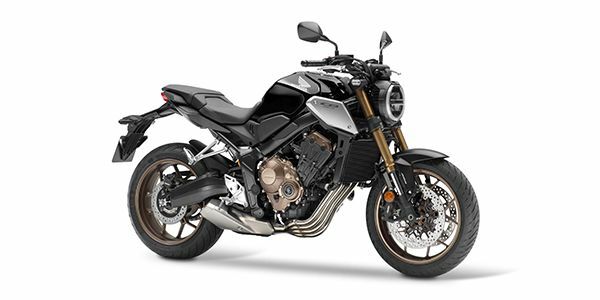 Share your experiences with CB650R?